Between 2009 and late 2013, the company had 12 high-risk enforcement actions against it for non-compliance with regulations. After its investigation, the energy regulator fined the company in July the maximum administrative penalty of $16,500 and issued four orders the company had to comply with. 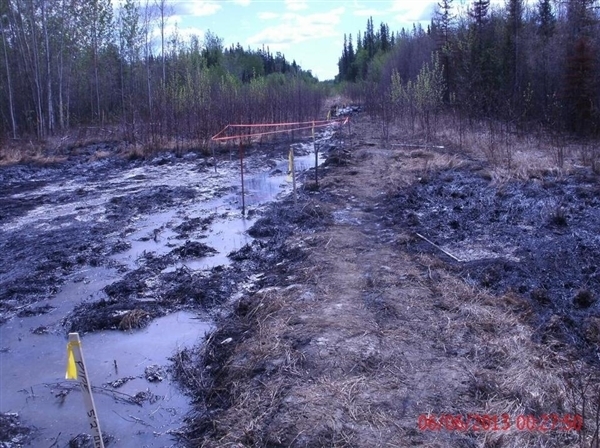 The October 2013 spill of industrial waste water that led to the charges affected an area of more than 3.8 hectares. The company’s first court appearance on the charges is scheduled for Dec. 7 in Provincial Court in High Level. Alta. Posted on October 19, 2015, in Oil & Gas and tagged Apache, Apache Canada Ltd., oil spill, Tar Sands, Zama City. Bookmark the permalink. 2 Comments.